We are situated on the grounds of Ashton Park Secondary School at the foot of Ashton Court Estate. The sports centre was opened in September 2005 by Phillip De Glanville (Bath & England RFC). We are a dual use facility meaning that during the school day the sports facilities are used by the school pupils. After school hours, weekends and school holidays the sports facilities are available for community use. The school also has some facilities available to the community for hire outside of school hours, for info please visit the school website and select the areas of hire under the lettings tab. 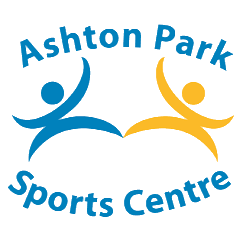 Please Click Here for all recent news regarding Ashton Park Sports Centre. Visit or call us for more info. Click here to see our list of all the Childcare Voucher Schemes we accept payment from for our Holiday Activity Programmes. Keep up to date with all the latest activities and events. Bus Numbers that stop near to Ashton Park School 351, 352, 353, 354, 357, 358, 359, 362, 363, 657 & UWE Ulink.